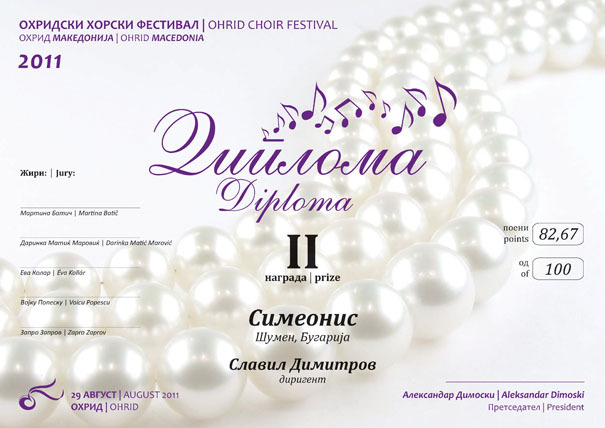 The Simeonis Choir is choir of the Sumen Municipality and Asnastas Stoyanov School of Arts. 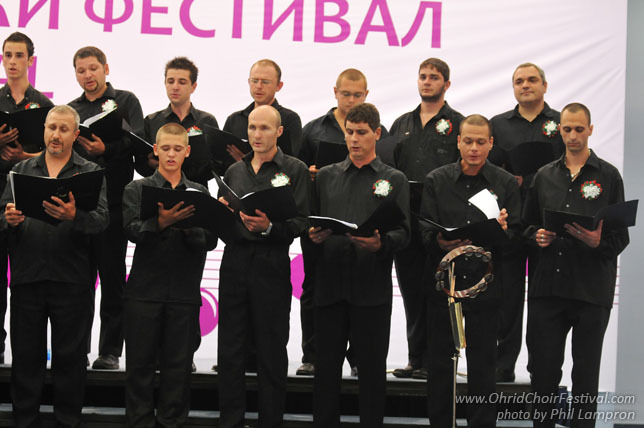 Established in 2005, the choir rapidly gained popularity as one of Bulgarian’s leading chamber choirs. 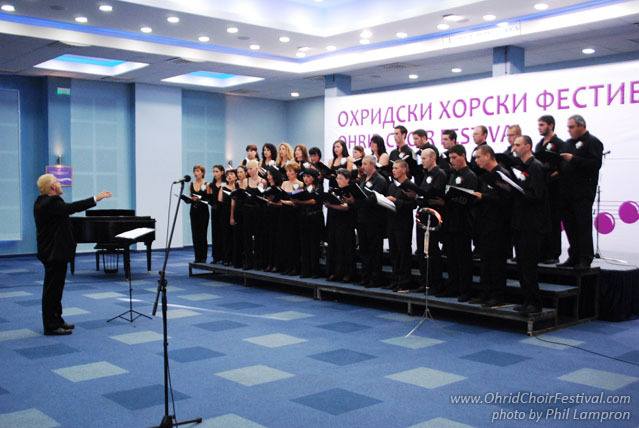 Formed of university students and people of various other professions, the Choir was founded by Slavil Dimitrov. Its wide-ranging repertoire encompasses many motets and sacred music of the last five centuries, as well as secular music, including jazz and pop. But most of the a’cappella repertoire is based on choral pieces by Bulgarian, Russian, and Western European composers. 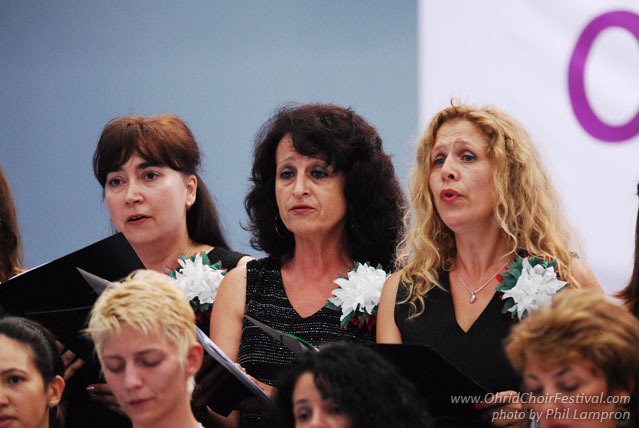 The Choir often collaborates with other prominent conductors, artists, and orchestras. Slavil Dimitrov graduated form Mathematics High School in Shumen, where he studied piano with renowned pedagogue Rositza Michailova. Afterwards, he took part in Professor Georgy Uspenskiy experimental composition class at the Odessa Conservatory, Ukraine. He then studied at the State Academy of Music “Professor P. Vladigerov” in Sofia, Bulgaria. He graduated with two MA (Hons.) – ‘Choral Conducting’ and ‘Opera and orchestra conducting’. From 1992 to 1998, he was Principal conductor of the Academic Choir "Angel Manolov" in Sofia. From 1998 to January 2008, he was conductor of the Shumen State Philharmonic Orchestra. 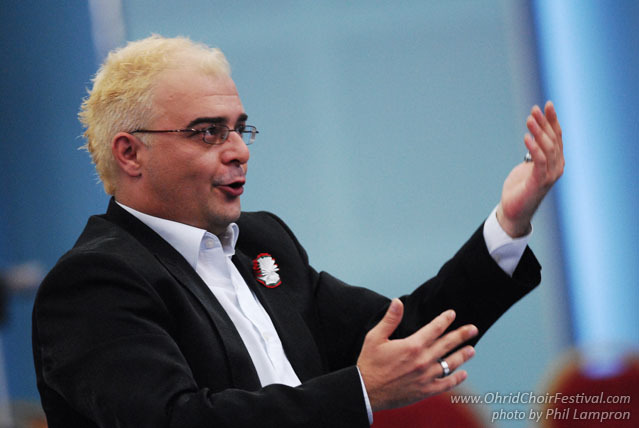 From 2007 to 2009, Slavil Dimitrov was a Choir director of the National Opera and Ballet in Sofia. In 2005 he founded Simeonis Choir. Currently, Slavil Dimitrov is Principal conductor at the Ruse Opera Theatre, conductor ot The Shumen Sinfonietta and General Art Director of Michail Bickov Wind Orchestra and Simeonis Choir, in Shumen, Bulgaria.